The horror genre, both in film and print, is the most difficult to do well. When was the last time you saw or read something truly original and truly scary? August is Movie Madness month here at Bookmans, so let’s take a look at what I feel is the best of the best in the horror film genre. As a side note, it’s difficult to speak about horror movies without mentioning horror in literature. Many of the best horror movies were originally books. It seems that film takes a huge cue from literature when looking for new material. Some of the most successful movies in the genre began as books and were later adapted for film. We don’t begrudge film makers for this, much of what makes horror interesting is psychological. Think of the scariest nightmare you’ve ever had and then try to tell it to another person. Chances are that it won’t sound half as terrifying as it was in your mind. Our imaginations seem perfectly designed to create things that petrify us. Translating those elements on to the screen is a challenge, especially when one refuses to resort to the typical horror elements. It’s relatively easy to make a slasher gore fest and easier still to shock your audience with a jump scare. The real talent getting under your viewers skin and leaving a lasting impression. The true virtuoso can also overcome both time and technology to create a work that both lasts for years and still scares audiences even when special effects technology has moved forward. Let’s have a look at five films that do just that. They continue to scare us year after year. Admittedly, Hellraiser can easily be classified as a gore fest but we believe that there is enough ‘meat’ to the story to keep it from being a mindless slasher film so we include it in our list. Hellraiser, the first movie in the Hellraiser franchise, was adapted from a novella by it’s later director/writer Clive Barker in 1987. The idea is fascinating and leaves the opportunity for much exploration. We feature Hellraiser because not only is this the first movie in the series but also the best. We believe that this is due to the fact that this first work is the only one that Barker wrote and directed himself. Not knowing what a huge success the franchise would become, Barker signed off the rights to the characters, book and future movies prior to the release of the film. We think it shows. True brilliance in horror lies in exploring our deepest fears, uncovering those terrors that ride deep in our psyche. Barker has done just that, and done so creatively. The story revolves around a complex puzzle box that is actually the gateway to hell where creatures known as Cenobites reside to lure humans in for endless tortures. Despite the graphically violent and bloody scenes, the characters and the depth of the concept are enough to keep this film scary through the years. Devil’s Advocate is actually one half of two films tied for this spot, both of which ironically made our list – despite the fact that they both share the same theatrically challenged supporting actor, Keanu Reeves. The second movie that tied for this spot was Francis Ford Coppola’s film adaptation of Bram Stoker’s Dracula. Both these films are examples of successful horror even though they were almost ruined by the unfortunate casting of Keanu Reeves. Luckily Reeves was accompanied in both films by stunningly talented leading men; Al Pacino and Gary Oldman respectively. Reeves is something of an enigma in that his acting skills leave much to be desired yet he somehow manages to have a likable screen presence. We are uncertain how Keanu accomplishes this trick unless it’s actually the talent of the director knowing just how much Keanu an audience can bare. The film Devil’s Advocate shares it’s title with a 1977 film adapted from a novel by Morris West. Our Advocate focuses on the talents of a high powered law firm, run by Pacino’s character who is named after the hero in Milton’s Paradise Lost. The film echoes many themes and elements from that famous work notably the quote “Better to reign in Hell than to serve in Heaven”. One of the most important features of any successful horror film in ability to lead the audience without exposing it’s secrets. Like the next film on our list, Advocate gives hints both verbal and visual throughout the film yet keeps you guessing until the very end. Just how many Americans do you think have not seen the Exorcist? If you remove those who passed on it due to devout religious and spiritual reasons, folks with language barriers, viewers who scare too easily and those who are currently too young (but we know they will as soon as they are old enough) the answer is probably very, very low indeed. This hugely successful, Academy Award nominated film was adapted from the 1971 William Peter Blatty novel which was in turn inspired by true events that were found in abandoned journals of a retired Jesuit Priest. The film’s history and lore is rich with tales of curses and mishaps which only added to the fire and the movies popularity. One can’t be considered a horror aficionado until they have seen The Exorcist. For more history and the real case behind the movie grab Possessed by Thomas B. Allen or many related materials outlined and referenced by William Peter Blatty. Here we have the O.G. of all vampire movies, a strange little bauble of a film that both film critics and historians agree is one of the most influential films in the horror genre. Nosferatu: A Symphony of Horror is the 1922 German Expressionist film directed by F.W. Murnau based on Bram Stoker’s Dracula that was never supposed to survive. The film was written and shot without the authorization of Stoker’s heirs and was ordered destroyed by the courts. A few precious copies of the film survived and were later reproduced only to make their way across the globe and into just about every film schools curriculum. The plot of the film is not so loosely based on Stoker’s work only Count Dracula becomes Count Orlok, J. Harker becomes Thomas Hutter and Nina becomes Ellen. Despite it’s borrowing from Dracula, the real artistry of Nosferatu is in it’s visuals. Considering that this is a silent film thus not having many of the typical horror genre elements, it still conveys a harrowing sense of evil and menace. The purity of the film leave it’s visual elements to stand starkly against a murky landscape giving the film a harrowing sense of dread. If one image stands to represent all vampire films it must certainly be that of Orlok’s shadow ascending the stairs, hunched and lurking. What would you say are your top five most important films in the horror genre? 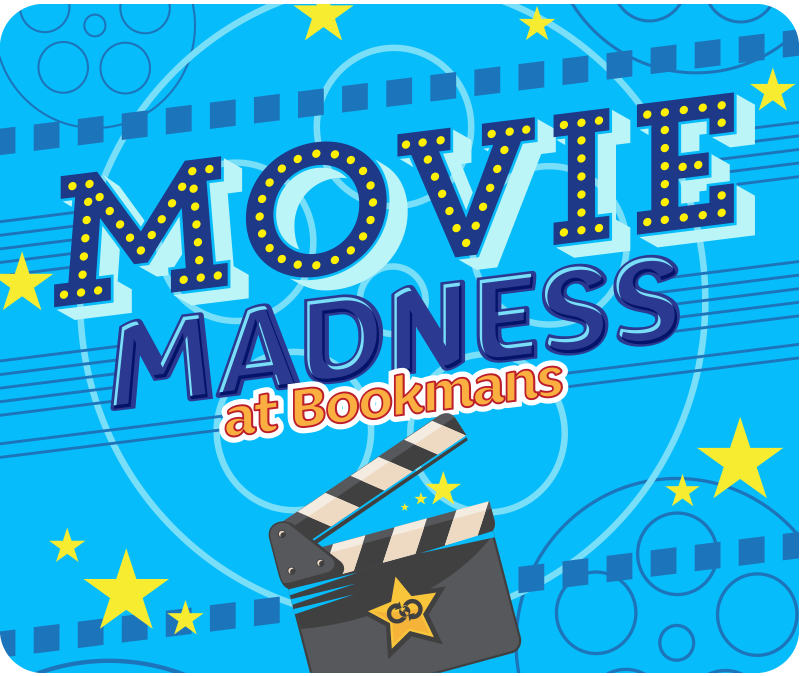 Let us know what you think and be sure to tag #BookmansEast #MovieMadness #5BestHorrorFilms and we will share your opinions! These will be films are a ton of fun to watch…but keep the lights on!